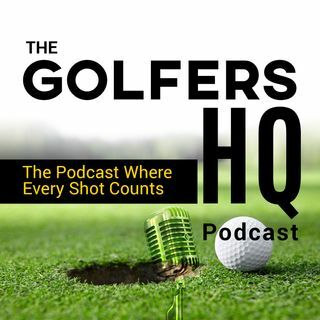 The weekly (or more) Golfers HQ podcast is presented by Dean Walker. I am a low handicap golfer who is on a mission to becoming a scratch golfer. One of my huge goals for this podcast is to educate and help golfers who struggle or want to improve the mental side of the game. I believe this is the aspect of the game which is going to fulfil you in this awesome sport. It's an area I have struggled with in the past, but with all the techniques and tools I have learnt, I am a far more capable ... See More and happier golfer myself and I hope I can help others get to the same place. I will also cover everything golf, including lots of mistakes amateurs make, instruction, product reviews, what's hot in the golfing world, tour chat, great reads and I also have some special guests in the pipeline for coming shows. This is a no nonsense podcast from an insanely passionate golfer. I hope you can join me for the ride. Episode 8: How Will The Rule Changes in 2019 Affect Us? Episode 4: How Much of Golf is Actually Mental?